Most of us have experienced tummy troubles like diarrhoea and constipation at one time or the other. Unlike common tummy troubles, appendicitis is a condition that can become life-threatening if not properly managed. Appendicitis is an inflammation of the appendix. It occurs when the opening from the appendix becomes blocked and bacteria infects the wall of the appendix. The blockage is usually caused by thick mucus or stool that hardens and covers the appendix opening. Sometimes the blockage is caused by the lymphatic tissue of the appendix swelling. About 5% of people end up with appendicitis, this makes quickly identifying this condition essential. The most common signs and symptoms of appendicitis in children and adults include a loss of appetite, pain around the bellybutton, abdominal tenderness, abdominal pain, constipation, nausea, vomiting, and fever. 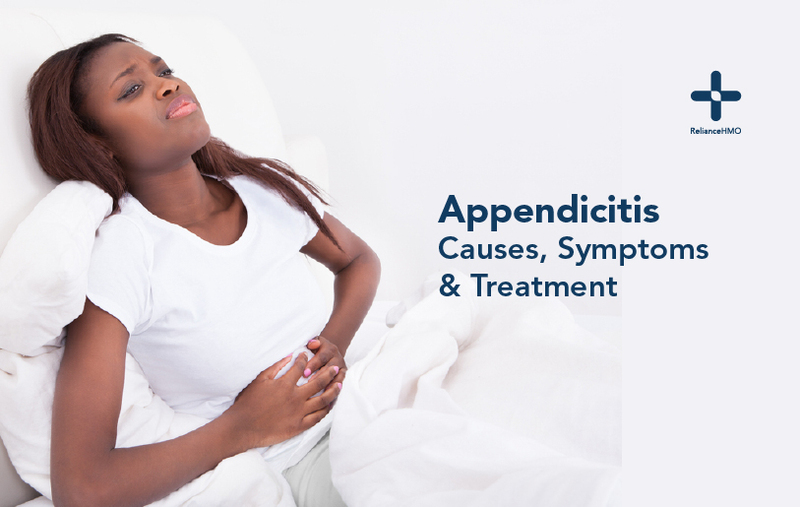 Initial signs and symptoms of appendicitis are not severe, they include nausea and/or a loss of appetite. A progression of the condition eventually leads to the main symptom, abdominal pain. The initial pain caused by appendicitis is not confined to one spot and is usually indicated by sufferers with a curricular motion of their hand around the central abdominal area. With time the pain becomes localized on the right side of the abdomen and patients can point to the exact location of the pain. The second symptom of appendicitis is a loss of appetite that sometimes progresses to nausea and vomiting. As with other illness, the doctor will check your medical records, ask for symptoms experienced and perform required physical examinations. Patients usually have elevated body temperature and severe tenderness in the right lower abdomen. Blood test, urine test, and imaging test may also be required by the doctor to confirm the diagnosis. If the patient’s pain is caused by appendicitis that requires surgery or further intensive treatment, then the patient will be referred to a surgeon. The surgeon will also determine whether the treatment provided is adequate with antibiotics or requires surgical procedures.